Sociology Departments are getting arisen as depending on many reasons day by day in Turkey. Indeed this situation is not only valid for sociology but departments of sociology have one kind of the same different properties with regard to demand and their functions. However, it is important how sociology supply with this demand. Thus we can say that sociology has partly created unfertile and vague functions time to time. Unquestionably, this judgement does not refer to under estimate the many achievements of sociology departments. On the other hand we need to develop and clarify partly seeing the insufficient and misleading role of sociology education today. Because sociology is a discipline that allows us to interpret every stage of life with its own techniques as well as many other roles. In this study, it is aimed to put some proposals on the table with a holistic approach by means of which to understand and solve the problems. Since it has encountered with the judiciary techniques, that have already been gained in large measure, although there are many theories, approaches, methods, techniques, models, concepts, application areas, solution proposals, thinkers and books, which are basically compared in all social sciences beforehand, then a demanded student of the undergraduate and of the graduate education of sociology departments, except for some symbolic apparatuses and some preliminary problems. Aron, R. (1994) Sosyolojik Düşüncenin Evreleri, (Çev: Korkmaz Alemdar)Bilgi Yayınevi, Ankara. Barnes, B. (1995) Bilimsel Bilginin Sosyolojisi, Vadi Yayınları, Ankara. Başaran, D. (2016) 12 Mart Askeri Muhtırası ve Türk Demokrasisi, Betül K. Yerdelen vd. (Ed.) Demokrasi: Darbeler ve Tepkiler, Ankara Divan. Doda, Z. (2005) Introduction to Sociology, EPHTI. Doğan, M. (2013) Hiperprestij Grupları, Neva Yayınları, İstanbul. 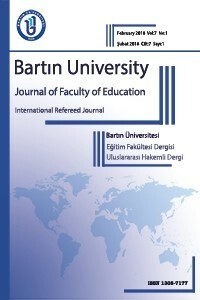 İnal, K. (2012) Geleceğin Eğitim Sosyolojisi, Eğitim Sosyolojisi (Ed. İsmail Doğan), Nobel Yayınları, Ankara. Kösemihal, N. Ş. (1995) Sosyoloji Tarihi, Remzi Kitapevi, İstanbul. Meriç, C. (1997) Mağaradakiler, İletişim Yayınları, İstanbul. Öztürk, A. (2015) Medeniyet ve Sosyoloji, Elis Yayınları, Ankara. Öztürk, A. (2011) Kriz Sosyolojisi, Doğukitapevi, İstanbul. Weber, M. (1997) Protestan Ahlakı ve Kapitalizmin Ruhu, Ayraç Yayınları, Ankara. Wilber, K., 1995, Transandantal Sosyoloji, İnsan Yayınları, İstanbul. Yıldırım, E. (2007) Bilginin Sosyolojisi, Ekin Yayınları, Bursa.